Cardwell Theatre School » Blog Archive » Congratulations Amanda! 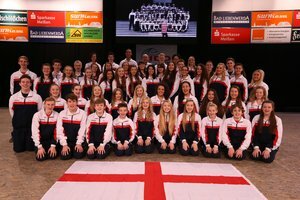 After successfully auditioning to be on the England Tap team ‘Tap Attack’ our very own Amanda Davis and her team not only got to the final but WON the World Championships! Well Done Amanda! To learn more click on the team photo. This entry was posted	on Sunday, December 21st, 2014 at 2:50 pm and is filed under Uncategorized. You can follow any responses to this entry through the RSS 2.0 feed. Both comments and pings are currently closed.